Today we bring you a podcast from our phi-life series. Do you think you can get as big as the Incredible Hulk? A lot of guys certainly believe they can even though they logically know it’s impossible. So can you get as big as the Hulk? Deep down we know we can’t get this big, but that certainly doesn’t prevent us from trying. 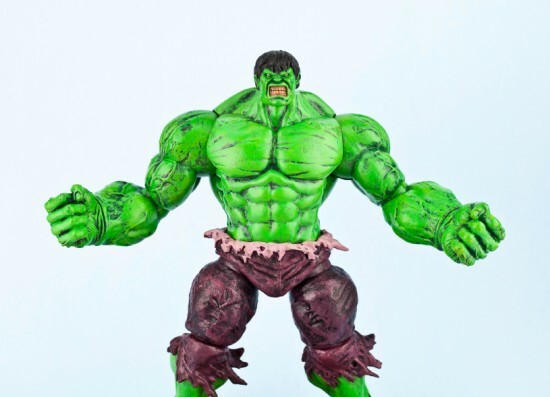 This never ending journey of aiming to get as big as The Hulk includes steroid intake, falling for the myth of bulking and mega dosing supplements. We have been exposed to Super Heroes our entire life. From a young boy reading comic books to a grown-up watching the latest Super Hero movie. Then finally, once we begin to explore the world of fitness we are introduced to the real Super Hero – bodybuilders. These “Super Heroes” may not be able to fly, but their physique’s certainly reminds us of The Hulk. When we get into the fitness and bodybuilding community we (for some bizarre reason) wanna live like bodybuilders. We want the lifestyle of Mr. Olympia, so even though we are not him and never will be, we still live to train and eat…We’ve all been down that road. Which is completely contrary to what we now here at Adonis Lifestyle teach – Eat and train to live. This is a dangerous path to be on, because suddenly it becomes your identity, you are the weird “fitness guy” who never goes out, doesn’t know how to have fun and often times isn’t even in such a great shape (shirt on big, shirt off average or fat). Well, today we will look into this mindset and determine where it all began. We will discuss what influences cartoon Super Heroes have and how they actually shape your your fitness goals and the perception of your own body. Also in today’s podcast, John talks about his experience with a salesman trying to pitch the very supplements he developed! There are only 3-4 important supplement ingredients that are used and sold… so why are there so many “other” supplements?